The only real problem I had is getting through the magically sealed door. Whilst you are going through Dead Man’s Respite there is a ghost who you can occasionally see in front of you. Eventually you find him sitting down and just looking at you. 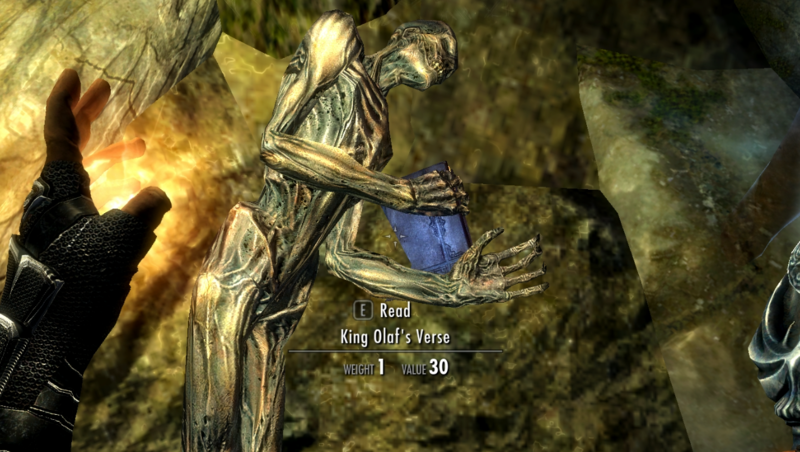 A corpse lies at his feet and it is clutching King Olaf’s Verse. Once you take it, not only read it, but take it, King Olaf disappears and, once you get to the magically sealed door, will open the door. 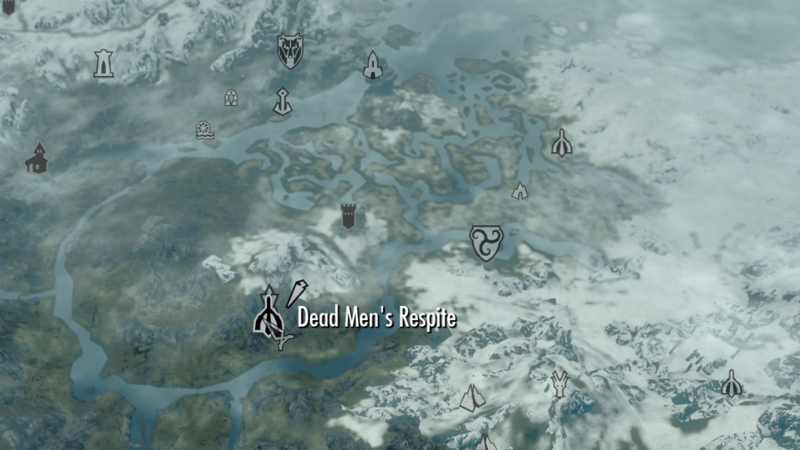 This entry was posted in Skyrim, Whirlwind Spirit Shout, Words of Power and tagged dead man;s respite, fury, guide, help, shout, skyrim, tips, tricks, walkthrough, whirlwind spirit, words of power. Bookmark the permalink.